Electricians and Electrical Contractors in Chicago-land. | Free Estimates! Reliable Electrical Contractors, Inc. can accommodate all your residential and commercial electrical needs, from new construction to service upgrades and installations. If you are in need of residential or commercial electrical work, and you want professionals who know the ins and outs of wiring, circuits, codes, and the latest in lighting technology, you need Reliable Electrical Contractors, Inc. Fully licensed, bonded and insured, serving the Chicago land area. We guarantee complete customer satisfaction, so contact us today for your free estimate. Reliable Electrical Contractors, Inc. work with homeowners and contractors from small repairs to large additions/remodels/new construction to meet our customers electrical needs. See our full list of Residential Electrical services we provide on our services page. We are a Certified Kohler backup generator installer. With one of our power backups installed, you won't have to worry about any of the negative consequences of a long-term power outage. Need to charge your electric vehicle at home? We install Leviton vehicle charging stations. 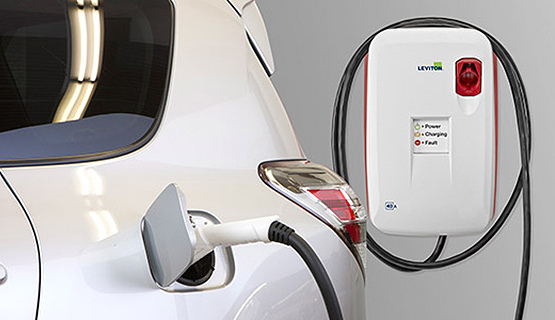 Leviton has a long history of providing solutions for a greener environment and offer a complete solution for residential, commercial and public plug-in electric vehicle (PEV) charging. HomeAdvisor is the free and easy way for homeowners to find and connect with trusted home improvement, maintenance and repair professionals. As a pre-screened and top rated Electrical Contractor we have been a member of HomeAdvisor for 5 years providing award winning service to our customers. Extremely happy with the work. He was very fast and left virtually no evidence that he had even been there. I would recommend to anyone. Tom was extremely helpful. He addressed our needs and provided us with details about what services we would benefit from. We appreciated him coming out on a Friday evening. We will be calling to set up a time for him to come out and complete some much needed electrical work. The tech helped us with electrical work in our basement. He knew exactly how to provide us with the solutions needed with a wiring issue for a humidifier, and installed an outlet in another part of our basement. He gave us an estimate on our kitchen lighting and we will be using him again. He was courteous, clean, competent, and professional. Tom was excellent, he knew what needed to be done and how to complete the job. I have no regrets in hiring him. He was very nice while performing the job. He is definitely an expert in his field. Tom of Reliable Electric has been one of the best subcontractors I have ever employed. Responsible and hard working, Tom has done a very good job every time and on time. I Have used Reliable Electrical Contractors in the past and will recommend to anyone who inquires about his company in the future. Very professional and yes, reliable, as the company name implies. Tom was very thorough from start to finish; from explaining how he was going to perform the projects, to getting the appropriate permits, to cleaning up, and coming back when the inspector came in to inspect the electrical work we had done. We plan on calling him again for a few more electrical projects we will need to do in the near future.